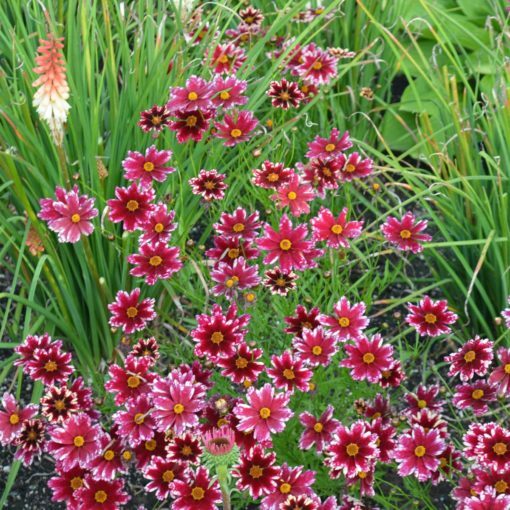 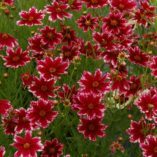 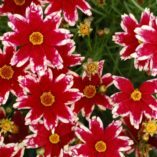 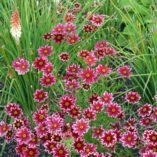 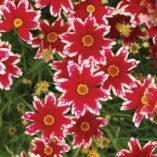 Coreopsis ‘Ruby Frost’ | TERRA NOVA® Nurseries, Inc.
Large, deep ruby-red flowers are fringed with a collar of frosty white. 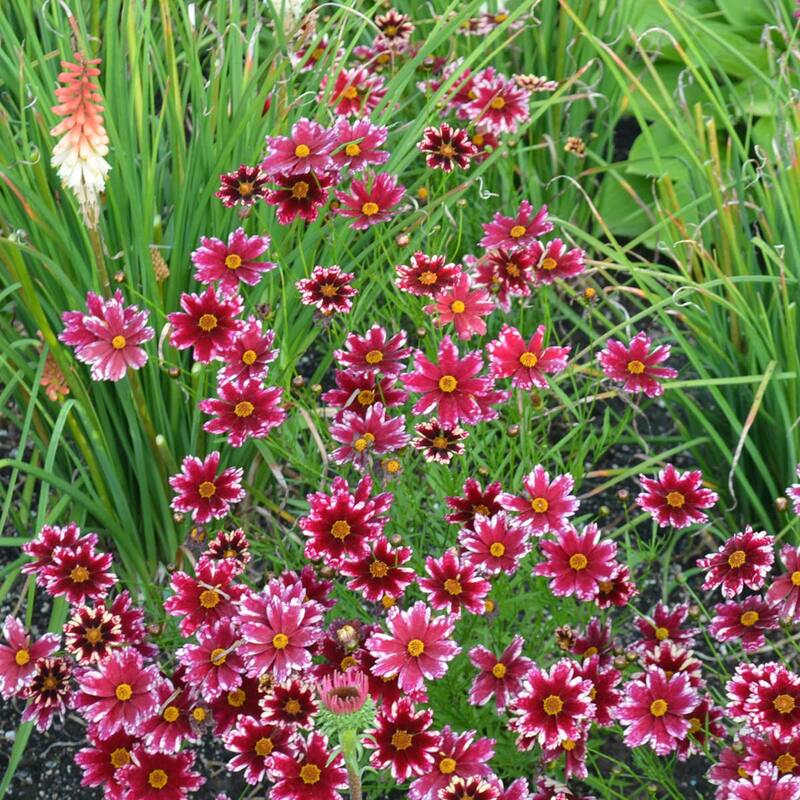 Plant habit is choice, with its flowers held up elegantly. 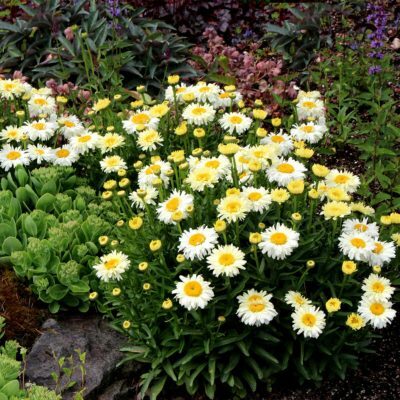 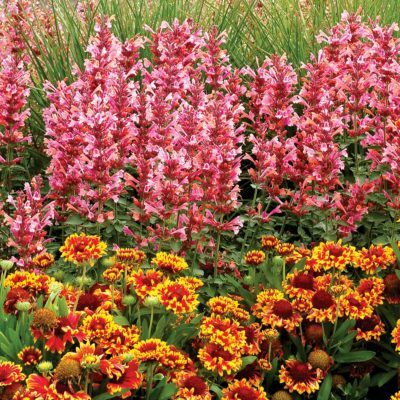 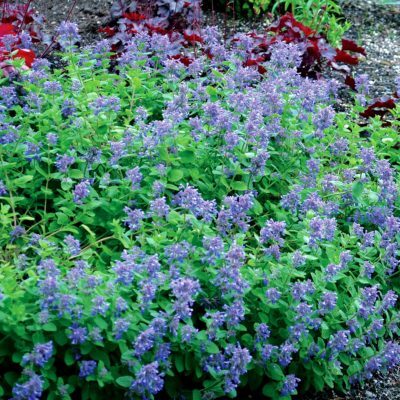 This plant has been prominently featured in Birds & Blooms Magazine. 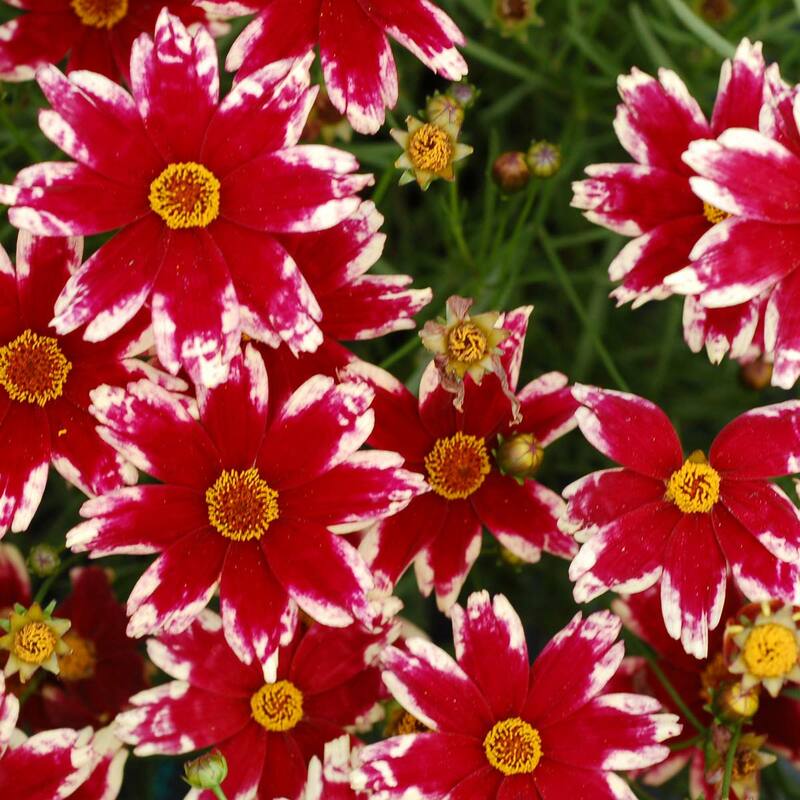 In fact, it was named by the readers in a 2009 contest. 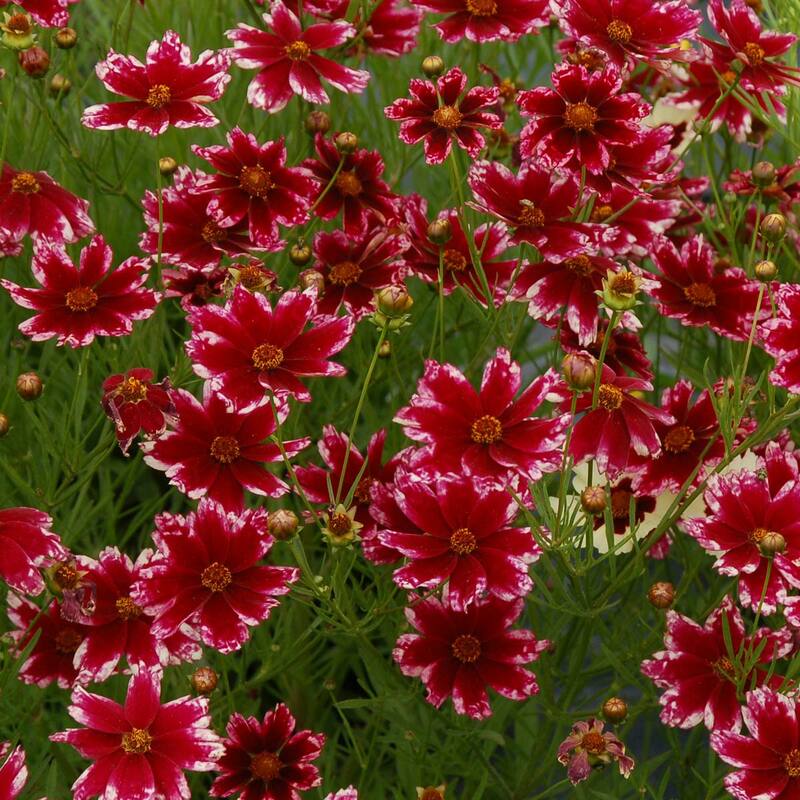 Truly a color breakthrough in the world of Coreopsis. 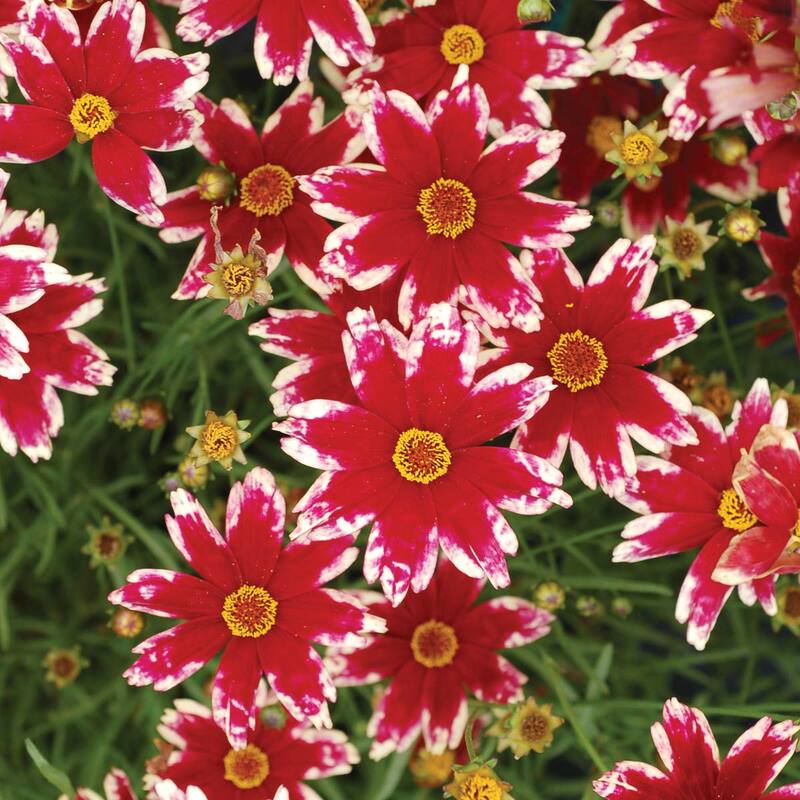 16" / 32" / 26"
It has ruby red flowers edged white, large flower size, and a great, low compact habit. 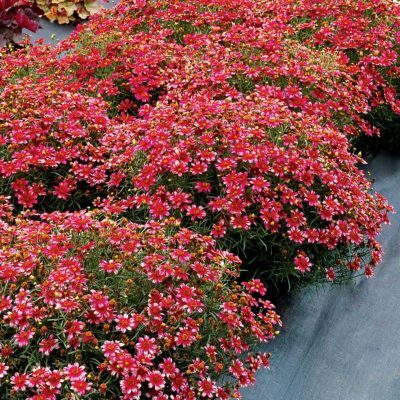 Easy and doesn't seed around. 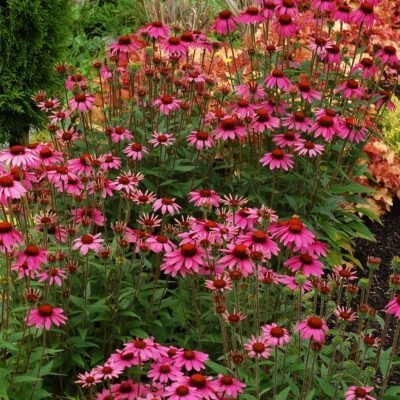 Named by the readers in a contest that ran in Birds & Blooms Magazine in spring 2009. 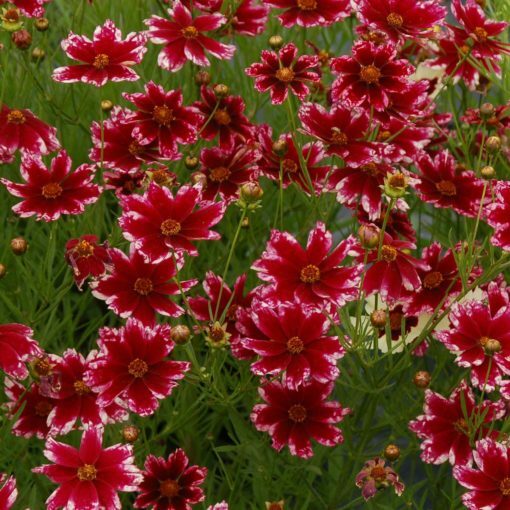 The #2 visitor favorite Coreopsis in 2012 at the Mt. 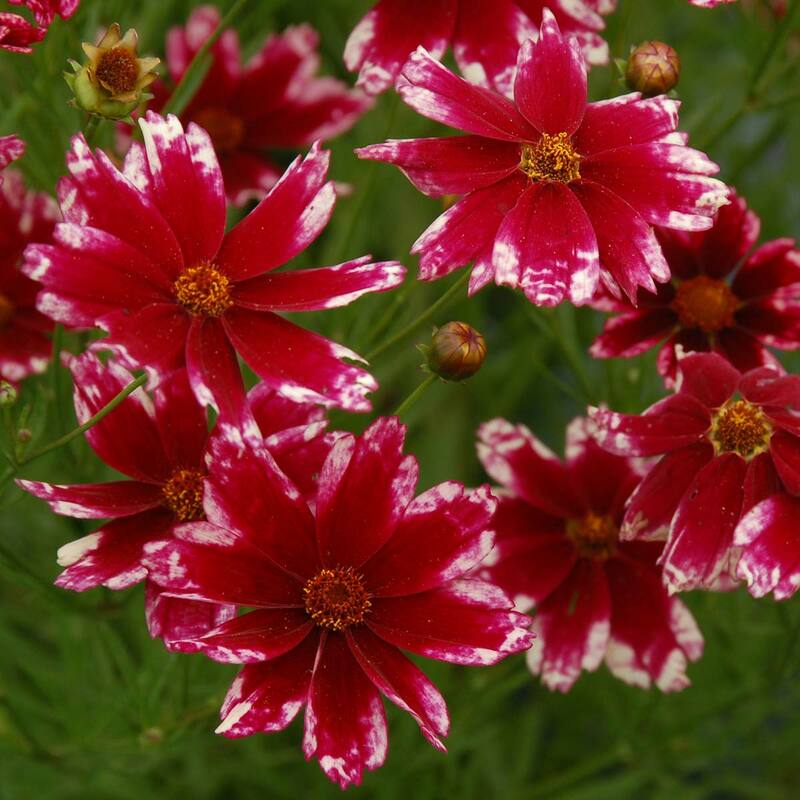 Cuba trials.